Mark and all of the historians made learning about the Civil War both fun and interesting. 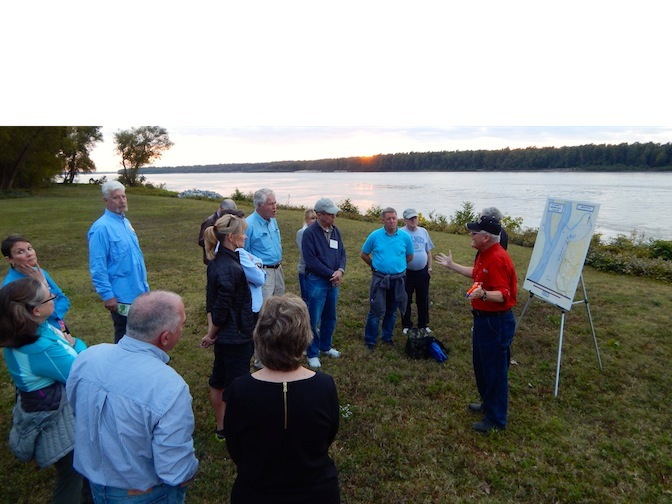 The Civil War Tour: Mississippi River Campaign tour is led by our Director, Mark Bielski, who personally designed this tour and did his doctoral research on the Civil War at the University of Birmingham, England. 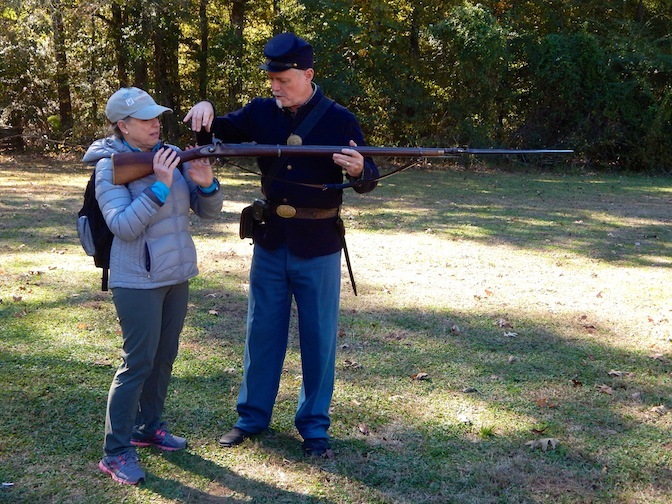 This Civil War Tour visits the sites and battlefields fought along the Mississippi River, including Memphis, Shiloh, Vicksburg, Port Hudson and New Orleans, in a trip designed to reconstruct the struggle for the river and the key transport routes of the Confederacy. The Mississippi River was the major interstate highway of the nineteenth century America. It was also the strategic focal point of the Civil War. Whoever held the great river would control the continent. Without it, neither side could supply itself, so both the Confederates and the Federals made it a key aspect of overall strategy. The railroads through Tennessee were the other link the eastern Confederacy had to its western bread basket, so both sides fought bitterly for control of Tennessee, the northern gateway to the Confederacy. 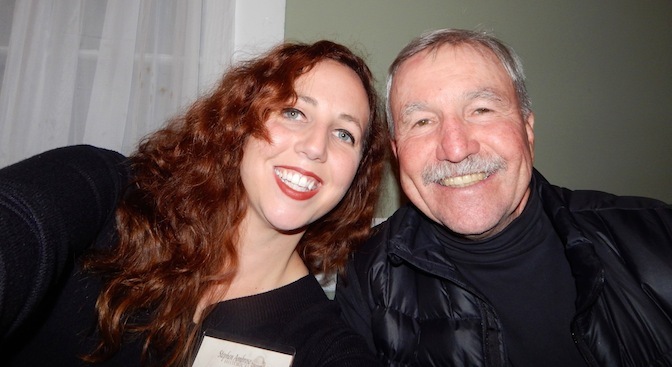 Mark’s ability to relate history in an engaging way coupled with his warmth and sense of humor, make him a favorite among our guests who have traveled with him. 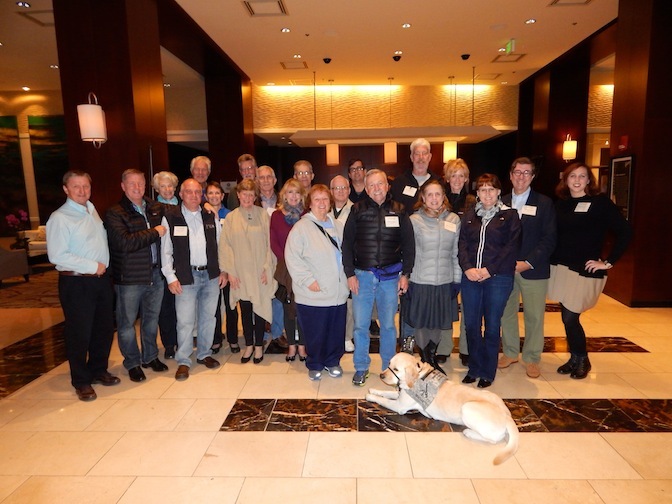 The Group will meet at the hotel where we will have a reception and an overview of the tour. 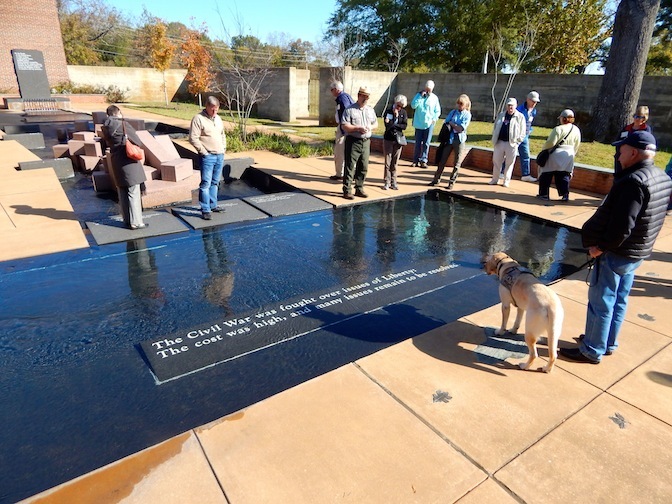 We will start with a brief visit to a site on the Mississippi River at Confederate Park in the city of Memphis. A naval battle fought here on June 6, 1862, resulted in a crushing defeat for the Confederates. 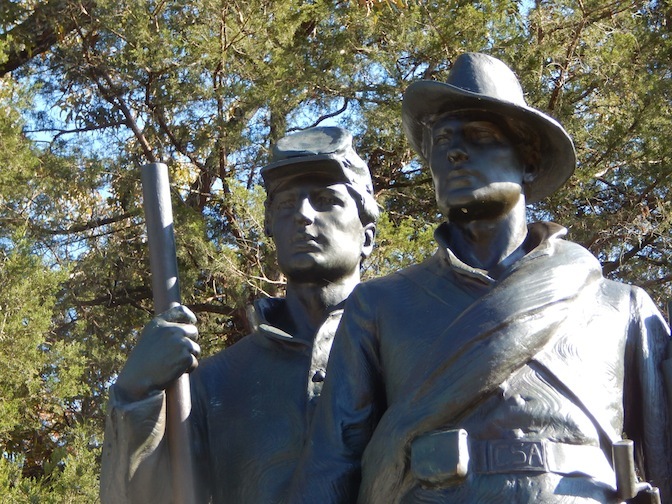 Shiloh National Military Park is the next stop. One of the most beautifully preserved Civil War battlefields, it still echoes the two day bloody battle that finally ended with a Confederate withdrawal from the field. Following our extensive battlefield tour, we will overnight in Corinth, Mississippi. In the spring of 1862, Grant's original objective was the vital rail link at Corinth, Mississippi. The railroads that crossed at Corinth connected the Confederacy from the Gulf of Mexico to Kentucky and from the Mississippi River to the Atlantic states. We begin with a tour of historic Corinth where we can view the antebellum homes that quartered generals from both sides. 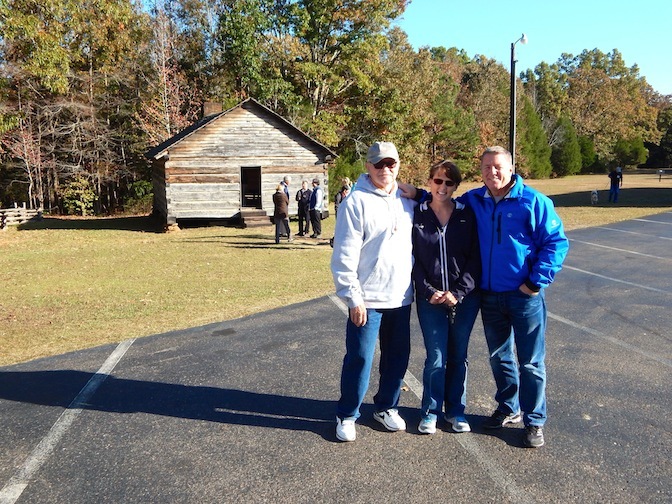 We will continue to the Civil War Interpretive Center, Crossroads Museum and Corinth Contraband camp. 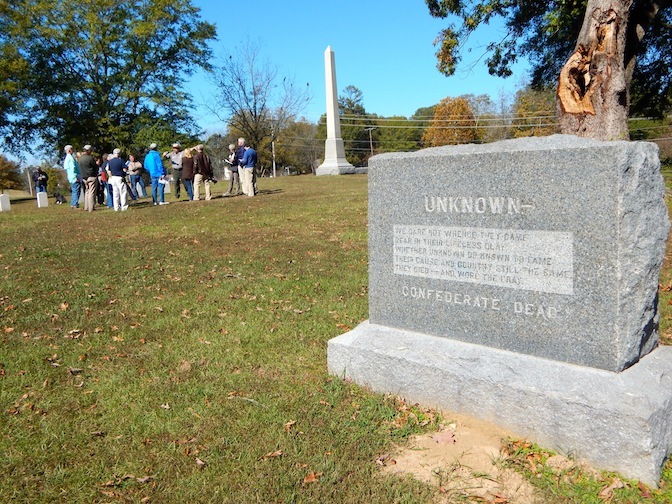 In the afternoon we will drive to Brice's Crossroads, the site of a clash between Confederate troops under General Nathan Bedford Forrest and Union Cavalry under General Samuel D. Sturgis. Though outnumbered nearly 2-1, Forrest craftily routed the Union forces. Drive to Vicksburg to study the battle for control of the Mississippi River the key to the Confederacy. We will start the study of the battle of Vicksburg near the remote landing site in Bruinsburg. We will explore the very path that Union General U.S. Grant and his troops followed after the key amphibious river crossing in April 1862. 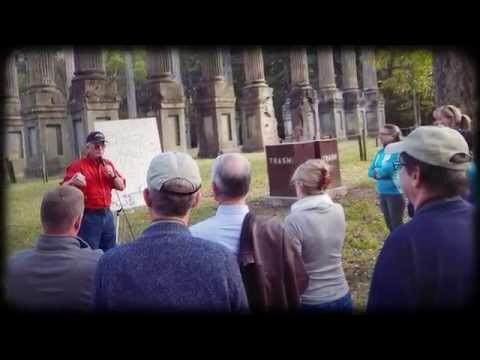 Two hundred yards from the spot of Grant's landing, the group will stop to view Windsor Ruins, the magnificent remains of an old plantation home General Grant passed as he sought out Confederate forces. 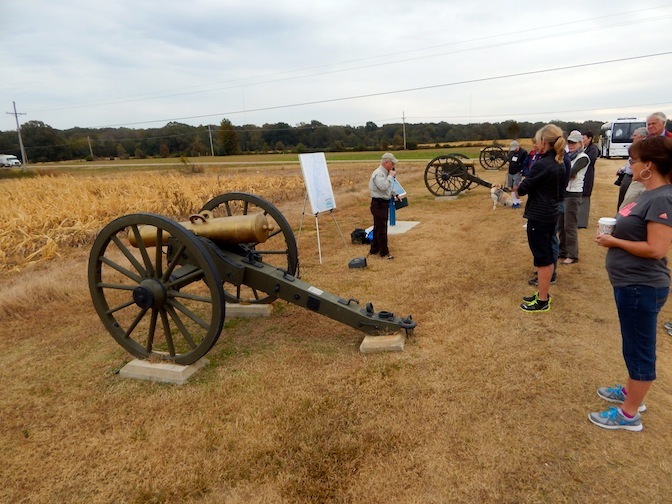 We then visit the battlefield at Port Gibson, a site ten miles from Grant's crossing and the initial engagement of the Vicksburg Campaign. Vicksburg National Military Park, the vast, hallowed ground where the maneuvering and struggle for control of the Mississippi could occupy a tour group for several days. Our tour dedicates a day to this landmark battle. We will explore the park and study the battle, as well as the evidence of the grueling siege at this Confederate stronghold. We will finish the day with a visit to the USS Cairo, the Union gunship sunk by a Confederate torpedo (mine) in the Yazoo River. In the morning, we visit the Old Courthouse Museum with its eclectic collection of artifacts from antebellum Vicksburg and the Civil War. We also stop at the riverfront to see the murals that depict local history and line the flood wall. Afterwards, we proceed south to the city of Natchez, traveling some of the way on the Natchez Trace. The Trace was the primary wilderness road of what was then the Old Southwest and today it is a scenic parkway. 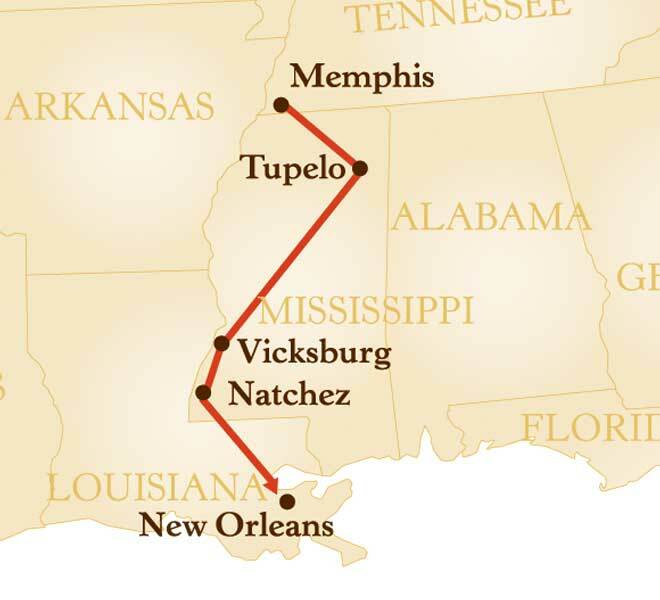 It provides a glimpse into the past and was the connecting route north from Natchez to Nashville. We begin with a city-tour of Natchez. Not damaged by the war, it is one of the most well preserved cities of the Old South. We will also visit Longwood Plantation, an excellent example of an antebellum era home. We spend the night in Natchez. We drive downriver to Port Hudson, Louisiana the Confederate stronghold on the Mississippi. In 1863 Port Hudson was site of a 48 day siege, the longest in American history. The bluffs at Port Hudson were the first high ground upstream from Baton Rouge. The Confederates constructed a line of earthworks and positioned river batteries to defend the river at this point. Port Hudson was just down river from the mouth of the Red River, the artery for supplies from Texas to the rest of the Confederacy. Both sides fought bitterly for this strategic jewel. We will continue south to the great city of New Orleans. We will view the grand neighborhoods of Uptown New Orleans, the Garden District and the home where President Jefferson Davis died. We will start our day with a short walking tour in the world famous French Quarter, one of the best-preserved neighborhoods in the country. 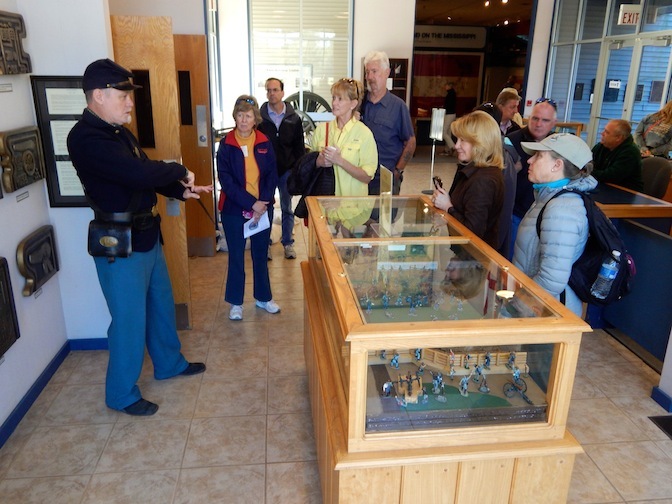 Guests then have the afternoon to explore New Orleans as they please, which could include the Confederate Memorial Hall Museum and the National WWII Museum, located across the street from one another. 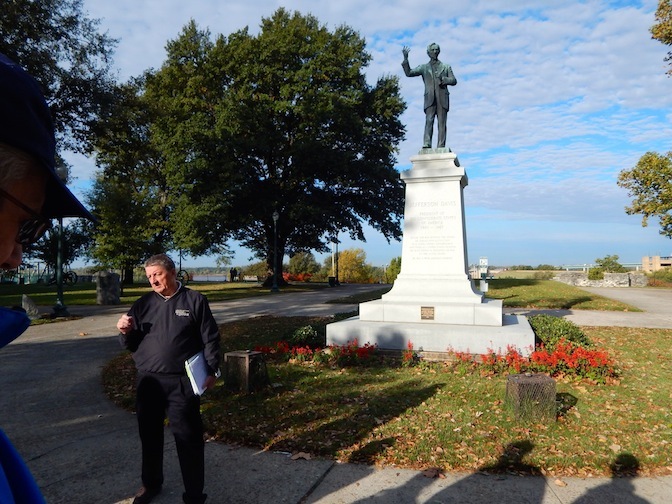 If you would like to continue your study of the Civil War, you could arrange a specifically designed walking tour in the French Quarter and/or Metairie Cemetery with Civil War Tours of New Orleans. Tour ends with check out on Day 9. If you are interested in extra nights post-tour in New Orleans, we are happy to pass along the hotel's group rate to you. Extra nights before or after the tour are available. We take into account that we have guests of all ages traveling with us, there is nothing that is overly taxing. Prices are per person based on double occupancy. For a single room add $700. 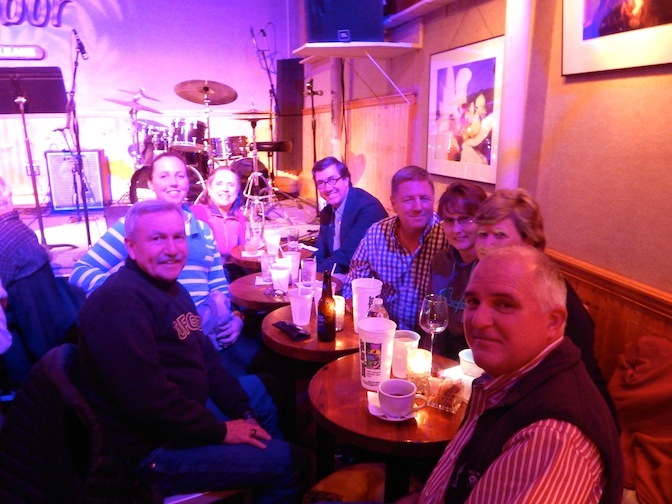 This is to thank you and your team for a great holiday discovering the complexities of the Civil War and of the South. We thoroughly enjoyed our long chats with Marina and on the last night meeting up with Terri, both of whom are delightful ladies. A great deal of effort must have gone into planning the tour, with splendid hotels and restaurants and, of course, very erudite guides to take us through every interesting step of the battle zones. Your choice of lunch stops like the one with the singing restaurateur provided a fascinating insight of life in the south and of its food. We also had a most agreeable group of people to spend a holiday with. You spared no effort to give us a memorable holiday. Now I am starting to enjoy Sons of the White Eagle. Good mixture of battlefields and museums. Quirky lunch stops were a fun surprise. The tour was more than I had expected. It was a moving experience to actually walk the ground and have the battles, events and sites explained in a clear and understandable manner. I would highly recommend that any of my Civil War buff friends take advantage of your company. I thought the level of military and general information was exactly what I was looking for. I was very pleased with the content of the tour.